Want a quick and easy way to prepare a side dish for your next dinner? 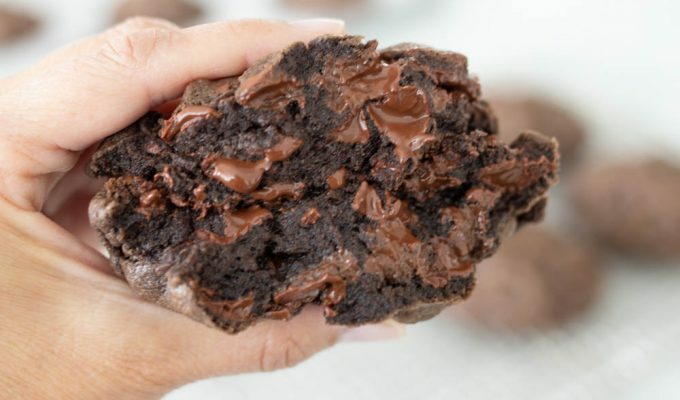 One that won’t break the calorie bank or take an hour to prepare ?? Try this recipe for Italian Zucchini Sticks. Fresh, fast and delicious. When was the last time you said that about zucchini? Before you know it, we’ll be making zucchini jokes, wondering how the heck we get rid of the giant green veggies invading our gardens and magically appearing on our doorsteps. For now, I’m loving Italian Zucchini Sticks, the petite version of this vegetable. I love vegetables that have been oven roasted just enough to take away the raw flavor and bring out the natural sweetness inside. 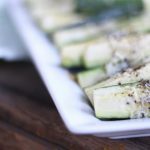 I’ve been experimenting with how to make a quick and easy side dish for my springtime celebrations, and finally perfected roasting zucchini in the oven! Italian Zucchini Sticks take five minutes to prepare and about 10 minutes to bake. Then plate time. The zucchini can be eaten hot or at room temperature, that’s the beauty of oven roasting veggies and laying them on a platter, as opposed to pouring into a bowl. Perfect for your Easter, Mother’s Day or upcoming warm weather barbecue meals! Place rack in middle of oven and pre heat oven to 400 degrees convection or 450 regular bake. Trim ends off of zucchini. Cut in half down middle of zucchini, then quarter. Cut the zucchini into 5-6 inch pieces. Place the zucchini on the jelly roll pan in rows, cut side up. Sprinkle generously with salt, pepper and herbs. Place pan in oven and bake for 8-10 minutes. Remove pan fro oven, sprinkle zucchini lightly with Parmesan cheese and place pan back in oven. Bake for another 2 minutes or until cheese is melted. Remove and place zucchini pieces on platter.